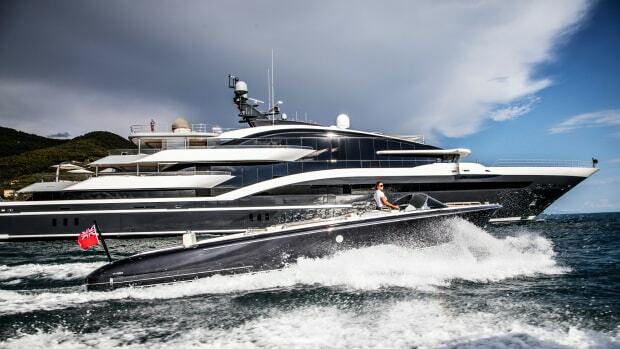 This Pendennis is one thrill-seeking supercat. 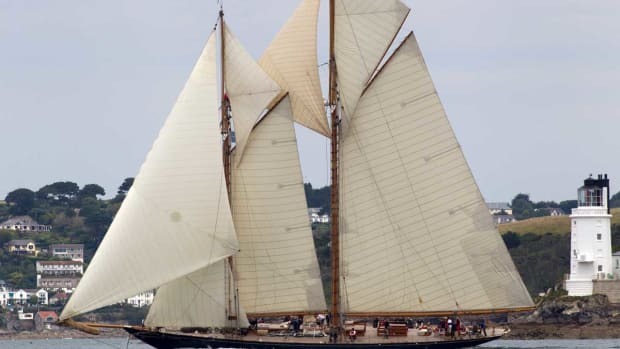 The breathtaking 42-meter (138-foot) schooner Mariette of 1915 seized the top prize at the 2012 Pendennis Cup regatta, sailed July 2-7 in Falmouth Bay on England’s extreme southwest coast. 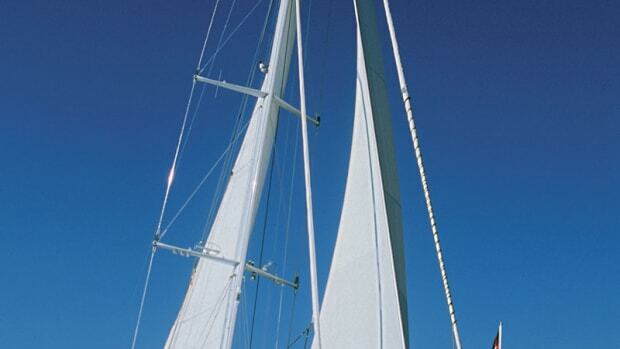 Mariette bested the fleet of 13 yachts that competed in the third biennial edition of the event. 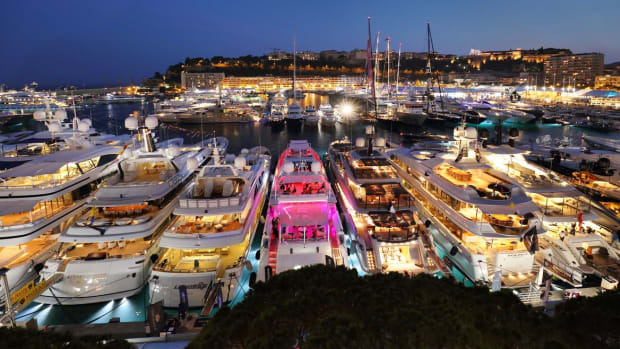 The regatta is organized by Pendennis Shipyard. 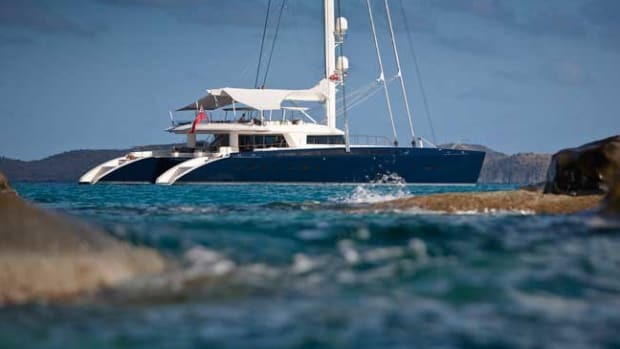 The world’s largest catamaran, sail or power, Hemisphere is an exceptional yacht for world exploration. 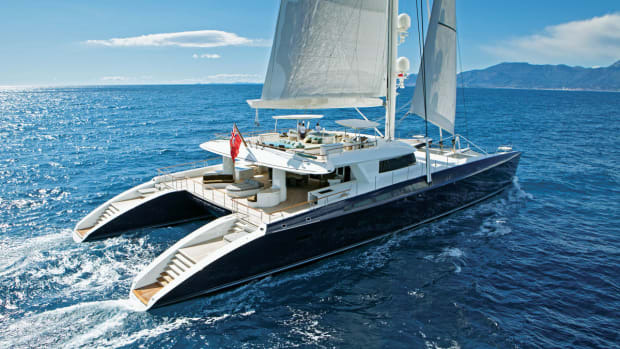 This 145-foot sailing catamaran offers an enormous amount of space and a décor that is utterly luxurious without being ostentatious. This supremely elegant sailing yacht, designed by Ron Holland, is the largest single-masted yacht and the largest sailing yacht built in composite. The nearly 300-foot carbon fiber mast (291 feet to be exact) helps support a 36,000-sq.-ft. sail area, weighing about 3.5 tons, made by Doyle Sailmakers. The foredeck’s tender storage recesses double as a plunge pool and Jacuzzi.